Thank you for making it possible to complete the following projects! You have helped to ensure healthcare excellence on Central Vancouver Island! The new CT Scan increases the speed of imaging, improves the clarity of images, and decreases exposure to radiation. 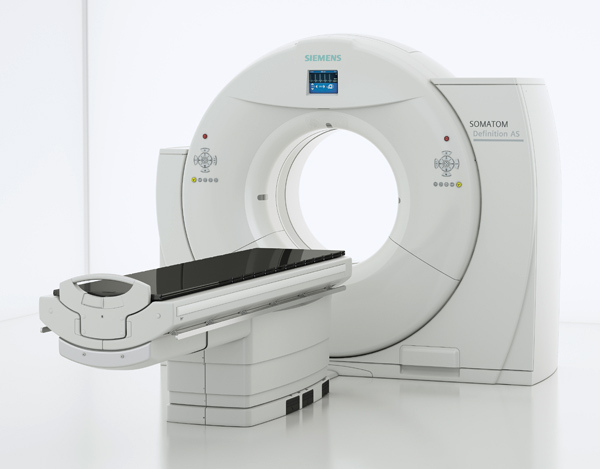 The CT Scanner uses a motorized x-ray source that rotates around the circular opening of a donut-shaped structure called a gantry. During a CT scan, the patient lies on a bed that slowly moves through the gantry while the x-ray tube rotates around the patient, shooting narrow beams of x-rays through the body. Instead of film, CT scanners use special digital x-ray detectors, which and transmitted to a computer. You helped to make this happen. Thank you! 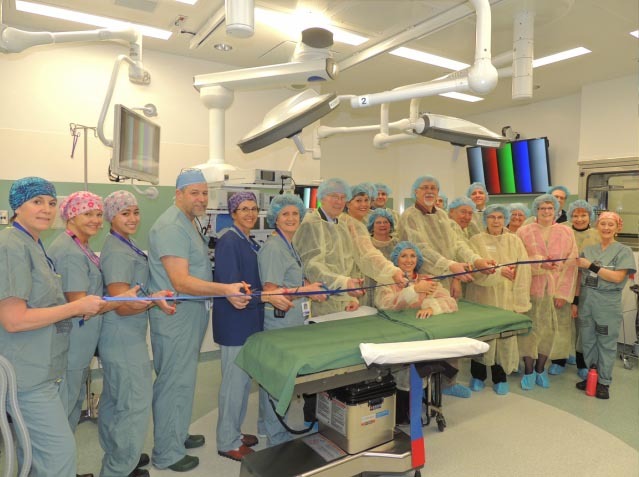 This brings the total number of Surgical Theatres at NRGH from eight to ten. The impact was immediate. Before expanding, surgical teams often worked through the night to accommodate urgent and emergency cases, but since adding the new Rooms working past 11:00 pm has greatly diminished. Furthermore, there has been few to no pre-scheduled cancellations and patients are getting out of surgery earlier in the day to either return home sooner or settle into their hospital room quicker. You helped to make this happen. Thank you! At almost three times the size of the “old” Emergency room, there is not only an increase of space, but also more natural light. Patients and families have privacy thanks to walled patient rooms and dignity thanks to a separate Psychiatric Unit. The medical professionals taking care of us all, continue to be an exemplary team determined to deliver the best care possible. Thank You! 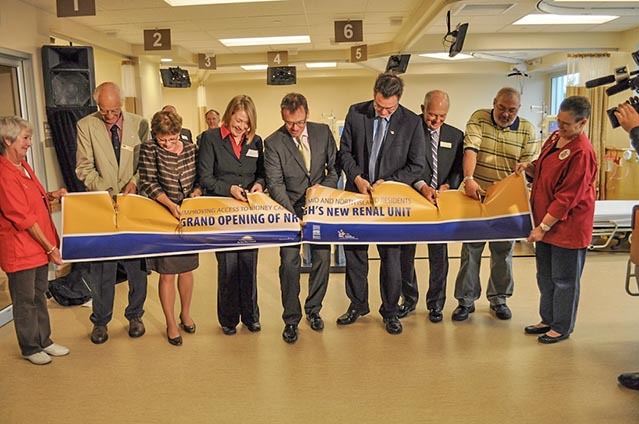 The New Renal Unit Opened September 16, 2010, Thank You! 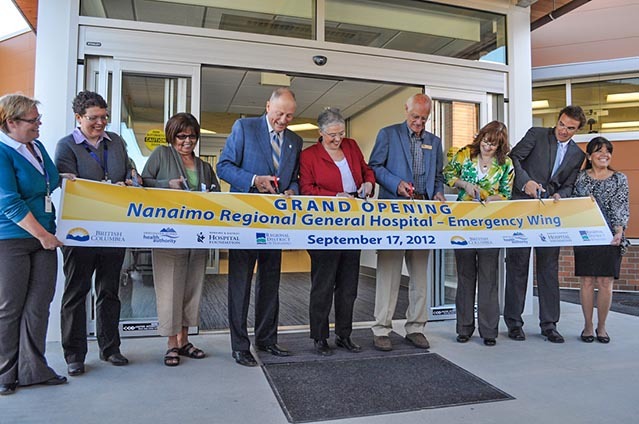 Health Services Minister Kevin Falcon officially opened the $9.4 million renal unit at Nanaimo Regional General Hospital (NRGH), a facility that benefits kidney patients across Central Vancouver Island. With the help of our communities from Ladysmith to Bowser, corporate donations, service club support, and especially with the help of individuals the Foundation was able to reach its goal by delivering $540,000 towards the purchase of new equipment for the in-hospital Renal Dialysis Unit at NRGH! The Dialysis Unit is open 7 days a week, 24-hours a day and other Departments within NRGH are able to accommodate more complicated cases. NRGH Surgeons can perform more difficult surgeries, ICU can care for sicker patients, and Emergency can receive dialysis patients seeking immediate care. The benefits of this Unit spill into every aspect of the hospital and, therefore, our community. 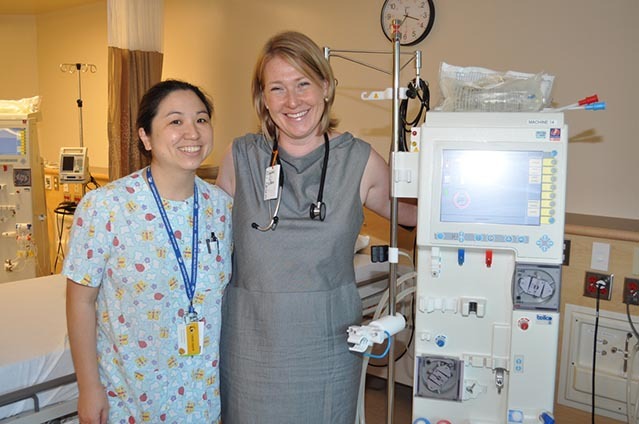 Lead Nephrologist, Dr. Rachel Carson, adds “the NRGH Dialysis Unit is even busier than we predicted. Each week we have patients starting dialysis treatments and having procedures in our hospital who previously would have had to travel to Victoria. One of our Emergency Department nurses said it best the other day as we were arranging an emergent dialysis treatment in the middle of the night: ‘10 months ago we would have been scrambling to get this person into an ambulance to send them to Victoria, now we can just do it right here’.” This is a testament to what we can do together! Thank you for making this a reality for kidney patients across Central and North Vancouver Island.